Forward U.S. oil prices for 2018 have climbed back above US$50 per barrel, a level that should be high enough to stabilize drilling activity over the next two months. But if prices continue their current upward trend, shale firms will almost certainly interpret that as a sign to increase output and begin ramping up their drilling programs again. 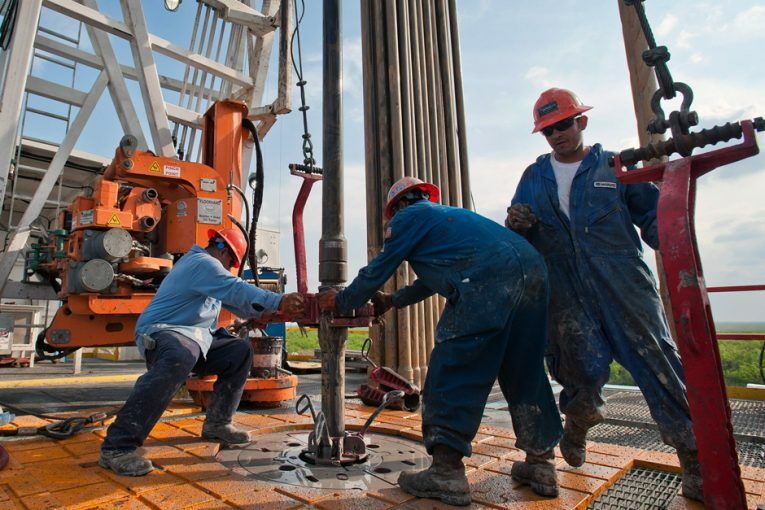 Shale drilling has proved very sensitive to changes in the value of West Texas Intermediate (WTI) crude, especially the forward prices shale firms rely on to hedge production and reduce their risks. Between February 2016 and January 2017, the progressive increase in forward prices encouraged shale producers to boost output by hiring extra drilling rigs. The number of rigs drilling for oil, which had been falling during the industry slump, started to increase again from May 2016, and oil output began to rise from October 2016. Rig counts typically respond to a change in oil prices with a lag of 16-20 weeks, while output tends to respond after an additional delay of five to six months. By January 2017, however, the rapid escalation in the rig count implied a large increase in production that threatened to overwhelm the market. Forecasts by the U.S. Energy Information Administration showed crude and condensates output growing by more than 0.5 million barrels per day (bpd) in 2017 and almost 1.0 million bpd in 2018. To temper the drilling boom, forward prices began to slide, with the WTI calendar strip for 2018 declining from more than US$57 in January to a little over US$45 in June. The calendar strip is the benchmark against which shale producers hedge production so the sharp drop sent a strong signal to ease back on drilling programs. The rig count leveled off in July and has been falling since August, according to oilfield services company Baker Hughes, in a lagged response to the decline in prices earlier this year. During their second-quarter earnings calls with investors, held in August, many shale firms announced a reduction in capital expenditure and drilling programs for the second half of 2017. It was widely seen as a tap on the brakes to assuage investors’ concerns about overproduction and falling prices. But the renewed rise in the calendar strip since late June and early July suggests concerns about overproduction are receding. On average, the breakeven price for the U.S. shale sector appears to be around US$50 and this has proved to be the dividing line between expanding activity and a contraction. Harold Hamm, chief executive of Continental Resources, one of the largest shale oil producers in North Dakota and Oklahoma, has said prices need to be above $50 to be sustainable. The calendar strip has recently climbed above this threshold and is currently trading around $51, the highest since May. Higher forward prices will enable shale producers to lock in more production next year at values that guarantee profitability. What happens next to prices is critical. If the current level of WTI forward prices is sustained, it should allow the rig count to steady and support moderate growth in U.S. shale output next year. If prices continue to increase towards US$55, however, shale firms are likely to drop their focus on consolidation and dust off ambitious growth plans for 2018. Varcoe: Does name change spell TransCanada’s exit?